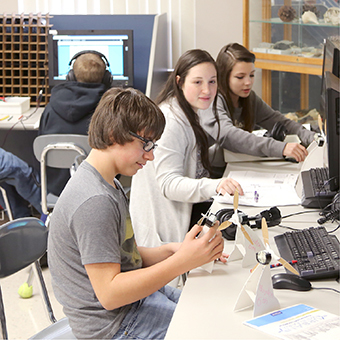 Since 1971, student-centric learning has been our core focus. This approach has resulted in story after story of student and educator success. We foster said success with educator enablement and active learning. We provide products, activities, curricula, and solutions that help bring lessons to life. We wholeheartedly believe when students are engaged in hands-on, minds-on work, they collaborate, they communicate, and they flourish. Moreover, this approach allows educators to have the opportunity to serve students at all levels and establish genuine connections. Talk about win-win! There are countless stories we can share. There are testimonials of triumphs in the classroom, stories of unexpected growth and development, and examples of inspiration. Read on. 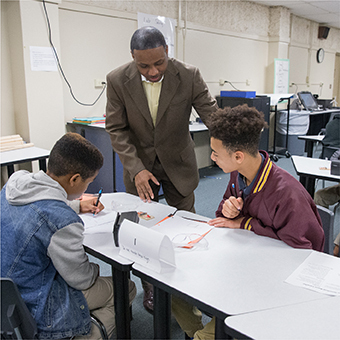 Principal Darius McKay in Dothan, Alabama, is meticulous about tracking data, and he credits Pitsco’s STEM labs with playing a role in the district’s leaping ACT Aspire science scores. When asked to explain how their students’ science test scores could be statistically significantly higher than those of their peers, two STEM Expeditions® teachers say the learning by doing nature of the program is responsible. 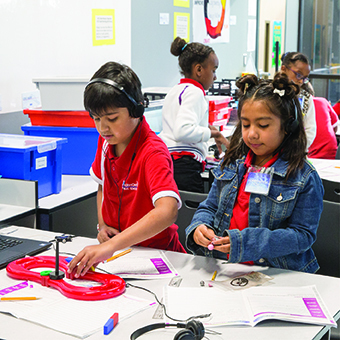 At Harmony Public Schools in Austin, Texas, Pitsco programs are teaching students skills that go way beyond the borders of STEM. Read on to learn how our STEM Units are developing relationships, decision making, self-management, and awareness skills at the earliest ages. Find many more accounts of light bulb moments, improved scores, and enlivened classrooms.